Situated is a peaceful and quiet location yet close to both Railway Station and Bus stand. Swiss Resorts is 1.5 km. away from Lonavala Railway Station and just 2 km. from Lonavala Bus Stand. It is located in a peaceful and quiet area. 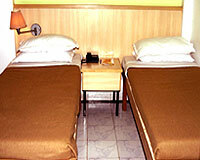 The resort provides all the facilities to make your stay comfortable and memorable. 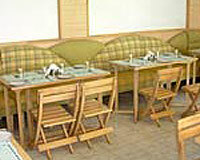 It has the facility of multi-cuisine restaurant, play area for kids, indoor games like table-tennis, chess, carom, etc. 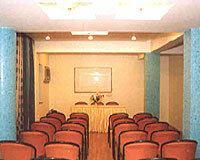 In short, it is the place where one can relax and enjoy with family, friends or corporate colleagues. 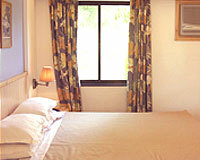 The resort has 21 well appointed rooms categorized into 18 Deluxe Rooms and 3 Premier Suites. 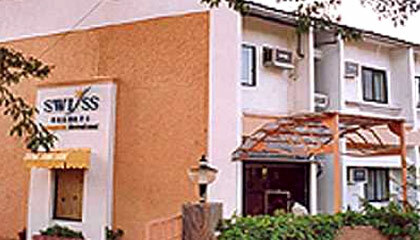 Swiss Resorts has two restaurants: Revival & Rajdhani.